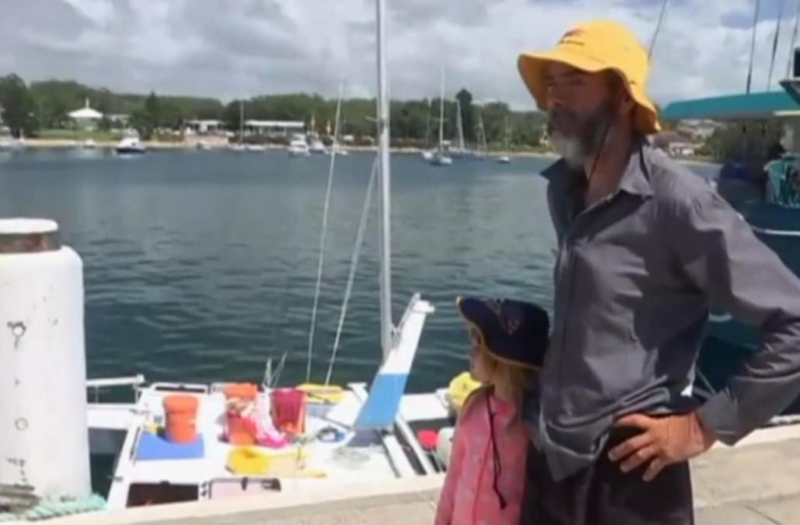 A New Zealand father and his 6-year-old daughter have been found safe after spending 27 days at sea on a tiny, broken boat. Alan Langdon and his daughter Que spent a month sailing across the treacherous Tasman Sea in a 20-foot catamaran that had a broken rudder for almost the entirety of the trip, leaving the father to steer with only a single rudder. "We were always safe, we just couldn't let anyone know," Langdon told reporters. "I tell you I learned a lot about sailing." According to the New Zealand Herald, Langdon and Que set sail from New Zealand on December 17 while in the middle of a custody battle for Que with his wife Ariane Wyler. The pair was spotted three days after landing by a resident of Ulladulla on Australia's west coast, who had seen news reports about them. Langdon and Wyler reportedly split after a storm destroyed a larger, homemade catamaran that they and Que called home, nearly killing the little girl in the process. After the storm, Wyler says Langdon "took off for Australia" with the girl, according to the New Zealand Herald. Wyler then hired child recovery specialist Col Chapman to search for her ex and daughter, whom he found living in a camper in Australia. Wyler hired him again after the pair went missing most recently. It's unclear if Langdon is currently facing charges, Chapman said he should be facing "immigration charges in Australia and he should be facing similar charges in New Zealand."